Lietuva | Japan Underground | JPU Records Ltd.
They’ve penned songs for some of the biggest entertainment franchise; from the Japanese version of hit film The Amazing Spider-Man, to tracks featured in some of the leading anime shows, such as Bleach and Gundam. Now, Nagoya’s hottest rising rock talents SPYAIR prepare to burst out of Japan with the release of their first album in the UK and Europe via JPU Records; MILLION – and the physical version is packed with exclusive tracks and bonuses! To celebrate the release the quartet will jet off to Paris for Tokyo Crazy Kawaii on Sunday 22 September, a new festival that will tour the world to localise Japanese entertainment. There they will rock the main stage of the cultural extravaganza, as well as meet fans and sign copies of MILLION ahead of its general release date. SPYAIR formed from a shared love of KORN, Linkin Park, and… Michael Jackson! The unlikely combination has resulted in the foursome’s fresh signature sound; a mixture of heavy and aggressive breakdowns and guitar riffs, married with optimistic pop melodies, creating truly catchy songs with a distinct edge. SPYAIR was rated ‘the band most likely to breakthrough in 2012’ by Japanese media, and to prove them right the band did exactly that, managing to sell out their nationwide tours, including shifting all 10,000 tickets for their first concert at the mighty Nippon Budokan. Their success has also spread further than just Japan. Korean fans demanded for the band to come to South Korea, leading to SPYAIR being billed alongside Radiohead and The Stone Roses at the Jisan Valley Rock Festival. 2013 continues to be a strong year for the recently formed group. MILLION went straight to number two in Japan’s official Oricon Weekly Album Chart. The album contains their top ten singles Sakura Mitsutsuki and Genjyou Destruction, popularised further when they were used as theme songs to the Gintama anime series and the live action Warner Brothers film, respectively. 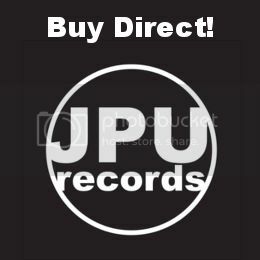 JPU Records’ physical release of the album will also include three of SPYAIR’s most popular tracks that were previously unavailable in Europe. These are Last Moment from smash hit series Bleach, Samurai Heart (Some Like It Hot!!) from Gintama and My World from Mobile Suit Gundam AGE. It also boasts an exclusive additional booklet containing all of the album’s lyrics in Romaji as well as translated into English. 06. Are You Champion? Yeah!! I’m Champion!! Amazon MP3 (UK), iTunes UK, Amazon MP3 (France), iTunes FR (France), Amazon MP3 (Germany), iTunes DE (Germany / Deutschland), Amazon MP3 (Spain), iTunes ES (Spain / España), Amazon MP3 (Italy), iTunes IT (Italy / Italia), iTunes AM (Armenia / Հայաստան), iTunes AT (Austria / Österreich), iTunes AZ (Azerbaijan / Azərbaycan), iTunes BY (Belarus / Белару́сь),, iTunes CY (Cyprus / Κύπρος / Kıbrıs), iTunes CZ (Czech Republic / Česká republika), iTunes DK (Denmark / Danmark), iTunes EE (Estonia / Eesti), iTunes FI (Finland / Suomi), iTunes GR (Greece / Ελλάδα), iTunes HU (Hungary / Magyarország), iTunes IE (Ireland / Éire / Airlan), iTunes KZ (Kazakhstan / Qazaqstan / Казахстан), iTunes LV (Latvia / Latvija), iTunes LT (Lithuania / Lietuva), iTunes LU (Luxembourg), iTunes MT (Malta), iTunes MD (Moldova), iTunes NL (Netherlands / Nederland), iTunes NO (Norway / Norge / Noreg), iTunes PL (Poland / Polska), iTunes PT (Portugal), iTunes RO (Romania / România), iTunes RU (Russia / Россия), iTunes SK (Slovakia / Slovak), iTunes SI (Slovenia / Slovenija), iTunes SE (Sweden / Sverige), iTunes CH (Switzerland / Schweiz / Suisse/ Svizzera / Svizra), iTunes TR (Turkey / Türkiye), iTunes UA (Ukraine / Україна). Modern heroes of Japan’s ‘visual kei’ rock scene, the GazettE, return to cause chaos with their hotly anticipated single FADELESS – out now across the UK and Europe from London based label JPU Records. The single is released ahead of the GazettE’s world tour this September, and follows the rock group’s ‘stunning’ (Allmusic.com) concept album DIVISION, which triumphantly entered Japan’s official album chart at number four – highly unusual for a heavy rock album. DIVISION also gained top ten positions across rock charts in Europe, leading to the GazettE being rated best band of 2012 by the readers of NEO Magazine, and claiming six out of 12 awards in the JpopAsia Awards 2012, including best album. FADELESS, mixing the influential quintet’s punk roots while combining influences from progressive metal and J-rock reached #4 in the Weekly Oricon Single Chart in Japan upon release, and is the first single from the GazettE since 2011’s REMEMBER THE URGE. Despite two music videos released from DIVISION last year, including electronic-metal hybrid track DERANGEMENT (‘Best Video 2012’ – JpopAsia Awards 2012). Yet the band decided against releasing any tracks from the record as singles, arguing that the album should be experienced as a whole and not as individual tracks, much like FADELESS. 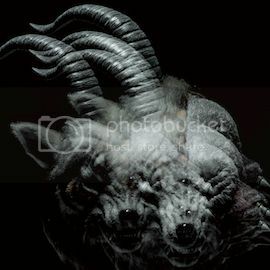 Now, with the GazettE’s seventh full-length album BEAUTIFUL DEFORMITY readying itself for impact, and rumours about the band’s direction running rampant on the internet, FADELESS proves that the GazettE is far from fading away any time soon. Available From: Amazon MP3 (UK), iTunes UK, Amazon MP3 (France), iTunes FR, Amazon MP3 (Germany), iTunes DE (Germany / Deutschland), Amazon MP3 (Spain), iTunes ES (Spain / España, Amazon MP3 (Italy), iTunes IT (Italy / Italia), iTunes AM (Armenia / Հայաստան), iTunes AT (Austria / Österreich), iTunes AZ (Azerbaijan / Azərbaycan), iTunes BY (Belarus / Белару́сь), iTunes CY (Cyprus / Κύπρος / Kıbrıs), iTunes CZ (Czech Republic / Česká republika), iTunes DK (Denmark / Danmark), iTunes EE (Estonia / Eesti), iTunes FI (Finland / Suomi), iTunes GR (Greece / Ελλάδα), iTunes HU (Hungary / Magyarország), iTunes IE (Ireland / Éire / Airlan), iTunes KZ (Kazakhstan / Qazaqstan / Казахстан), iTunes LV (Latvia / Latvija), iTunes LT (Lithuania / Lietuva), iTunes LU (Luxembourg), iTunes MT (Malta), iTunes MD (Moldova), iTunes NL (Netherlands / Nederland), iTunes NO (Norway / Norge / Noreg), iTunes PL (Poland / Polska), iTunes PT (Portugal), iTunes RO (Romania / România), iTunes RU (Russia / Россия), iTunes SK (Slovakia / Slovak), iTunes SI (Slovenia / Slovenija), iTunes SE (Sweden / Sverige), iTunes CH (Switzerland / Schweiz / Suisse/ Svizzera / Svizra), iTunes TR (Turkey / Türkiye), iTunes UA (Ukraine / Україна).